The X-T1 is a self contained camera, but it does have a couple of options for additional hand grips, the larger of the two being the VG-XT1 vertical battery grip. The grip has the same fit and finish as the camera, and attaches via a built-in knurled knob which threads into the camera’s tripod bush. The grip has a set of control suit-in for portrait shooting, and a 2nd battery slot, so needs a multi-connector to communicate with the camera. The camera’s connectors are hidden under a small rubber plug, and the plug has a little recess in the grip to keep it safe, so you don’t loose it. The side of the grip has a battery door, ready for the standard NP-W126 battery. This battery takes priority over the one in the camera, so will be used first, before the in-camera battery gets depleted. The battery door locks in place, and has a push-out which I believe will be used for the optional external power feed. (Useful for long-term interval timer photography). 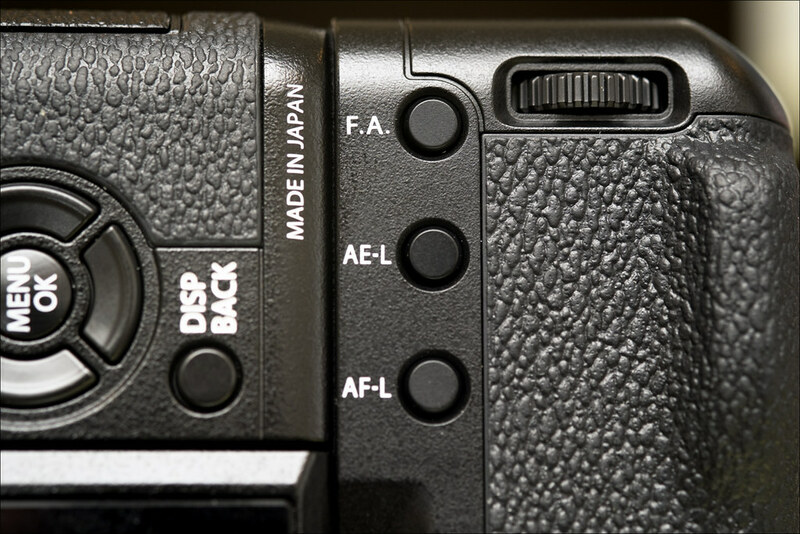 The grip features a separate shutter release for portrait shooting – and a full set of dials and controls. Studio shooters will love this feature, it’s just what you need for fast, fuss free shooting. The tripod bush is also centrally located with the grip – nice one Fuji! The final combination looks great, is very functional, and for me, really makes the camera. 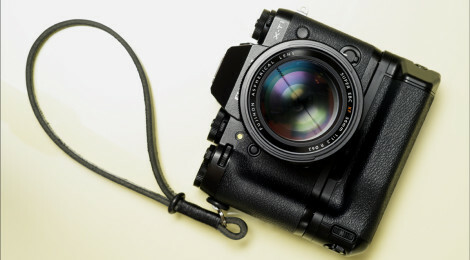 Is there any way we could see a photo of X-T1 with the grip next to the X Pro for a size comparison? The last photo shows X-T1 + Vgrip + 56mm and a handstap. How’s the weight of all that with a handstrap? Is it comfortable? Just got my X-T1 and was surprised at how light it felt. Wondering how it feels with grip and big glass. Weight feels good – the grip and battery adds some of course, but it works well on the wrist strap. I am however going to swap it out for the same size strap with a different fitting on the end (string) so that I can relocate it to the recessed lug in the bottom left corner of the grip. This will allow me to keep my hand in the strap in both portrait and landscape orientation. I didn’t think of this until I got the grip in my hands – but now I see it in the flesh, that’s the most logical mounting point. Thanks, in advance, for the info and for the nice write-up and product photos..
Jeff – good point, I’ve updated the post with the following info. Grip weight is 150g empty, 217g with battery loaded.